Mix a small amount of glue with water in cup until consistency that makes glue brushable. 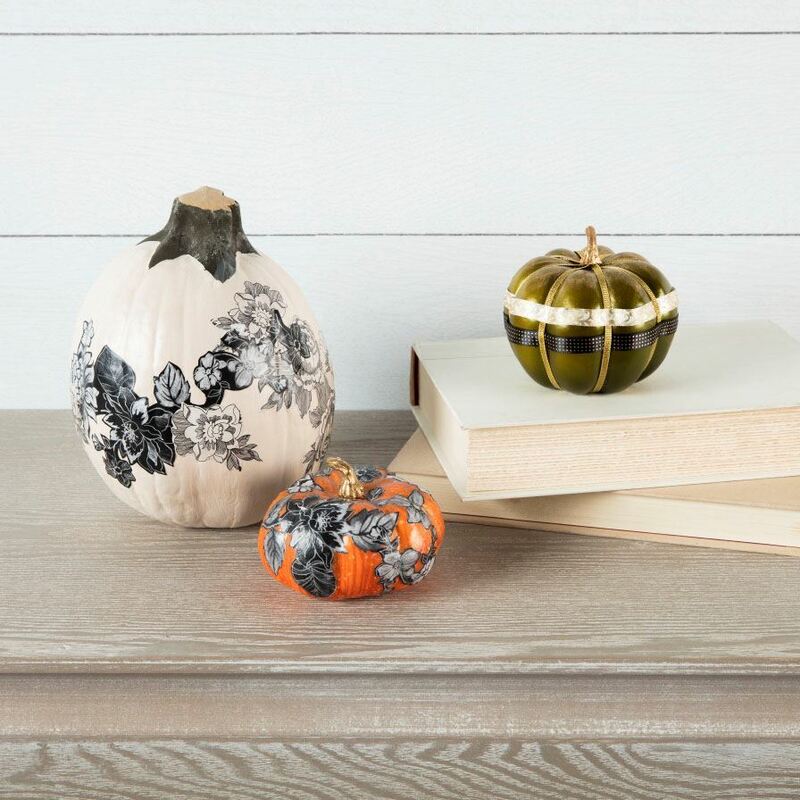 Use Tacky Glue to attach ribbons to pumpkins to create desired design. Allow to dry.